WINDSOR, England --- In a surprise concession, Prince Harry and Meghan Markle are postponing their Saturday wedding by exactly one day so that Adventist fans can watch media coverage of the day. "We don't know what we were thinking when we picked a Saturday for the wedding," read an apologetic statement from the Royal Family adding that, in addition to switching the date, the exchange of rings would be replaced by an exchange of "some really nice watches." 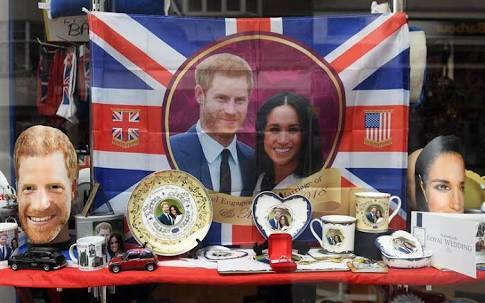 Royal Wedding organizers said that they realized they could slash their bills even further after a slew of Adventist parents volunteered to decorate the entire occasion all by themselves from materials that were completely free to procure or, at the very least, looked like they should have been free. "We also fired the reception DJ and slashed catering costs after the Adventists talked us into making the reception dining potluck style," said the Royal statement, adding that there was plenty of space for the potluck tables now that the dance floor would no longer be needed. Great! Can’t wait until early Sunday AM to watch live. Hope they serve some of the Vega meats we love so much-prime steaks, Vega links, Nuteena, Prosage,Specila K loaf, haystacks, Tuno, Linkettes, etc. Also, please include lots of Little Debbies and the new Postum hot drink. Any of that caffeine free cola still around? The weeding was on my birthday 19 May, I am now 63, also is print on the mint coins 19 May.